The Yankalilla Centre is situated in the scenic Fleurieu Peninsula, Yankalilla. 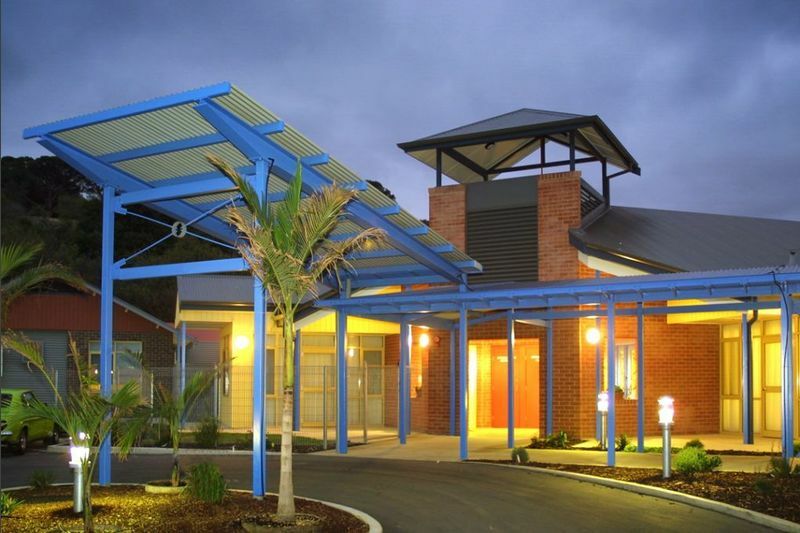 Ideally situated in the centre of the township, the Yankalilla Centre has been developed with an adjoining Medical and Health Centre. Priority given to residents of the Fleurieu Peninsula. Pets welcome, subject to assessment. The shared bedrooms (approx. 13 sqm per person) and shared ensuite (approx. 5.8 sqm) are located in the East 1, West 1 and West 2 wings and is ideally suited for couples. The bedrooms are all fully air conditioned with individual room controls, carpeted with painted walls, and are well maintained and lit. The inclusions provided in the bedrooms are of excellent quality, in good condition and includes an electric high/low bed and telephone point. The bedrooms enjoy pleasant outlooks, excellent natural light, courtyard access and are well-positioned for resident access to all common areas. All common areas are fully air-conditioned and tastefully decorated with comfortable quality inclusions and furnishings. The main activities room/chapel (approx. 55 sqm) is carpeted, with access to the main courtyard/BBQ area (approx. 95 sqm), a television, sound system and a piano. The area is well-maintained, air-conditioned and is suitable for various activities and community gatherings. The outdoor garden, perimeter footpath and courtyard areas are landscaped have outdoor seating. Each wing has a carpeted combined dining/lounge room (approx. 38 sqm) with television and sound system, a combined kitchen/dining area (approx. 38 sqm) with a sound system and a separate sitting room (approx. 13 sqm) with kitchenette facilities. 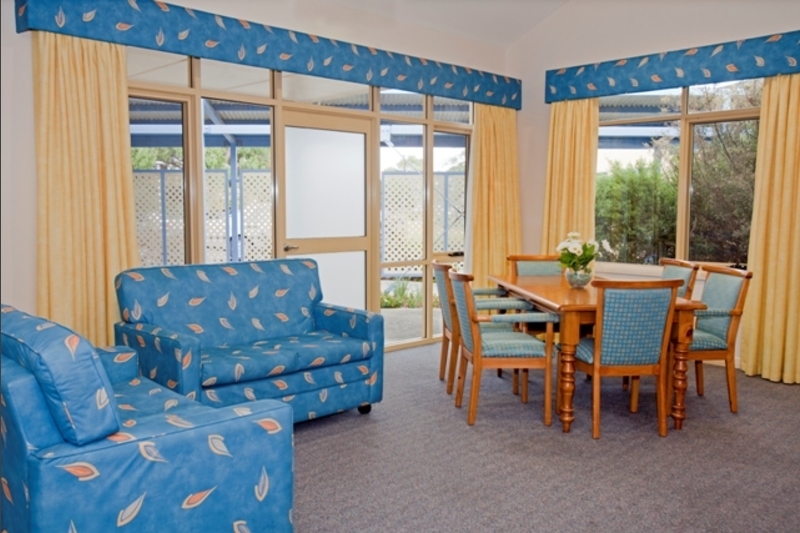 The rooms have modern furnishings in good condition that seat between six and thirty residents in a comfortable air conditioned environment with excellent natural lighting and pleasant courtyard and garden views. Courtyard and outdoor seating is also provided. An additional small activities room (approx. 13 sqm) is located in the East 1 wing and is suitable for computer, sewing, reading or family gatherings. Yankalilla Centre is located 175 Main South Road, Yankalilla SA 5203. The home is situated in the scenic Fleurieu Peninsula in the centre of the township with an adjoining Medical and Health centre. The bedrooms are all fully air conditioned with individual room controls, carpeted with painted walls, and are well maintained and lit. The inclusions provided in the bedrooms are of excellent quality, in good condition and includes an electric high/low bed and telephone point. The bedrooms are single rooms (approx. 18 sqm) with a private ensuite (approx. 5.8 sqm), enjoy pleasant outlooks, natural light, secure courtyard access and are well-positioned for resident access to all secure common areas. East 2 wing has a carpeted combined dining/lounge room (approx. 38 sqm) with television and sound system, a combined kitchen/dining area (approx. 38 sqm) with a sound system and a separate sitting room (approx. 13 sqm) with kitchenette facilities. The rooms have modern furnishings in good condition that seat between six and thirty residents in a comfortable air conditioned environment with excellent natural lighting and pleasant courtyard and garden views. Secure courtyard and outdoor seating is also provided. The shared bedroom (approx. 13 sqm per person) and shared ensuite (approx. 5.8 sqm) are located in the East 2 wing and is ideally suited for couples. The bedroom is fully air conditioned with individual room controls, carpeted with painted walls, and is well maintained and lit. The inclusions provided in the bedroom are of excellent quality, in good condition and includes an electric high/low bed and telephone point. The bedroom enjoys a pleasant outlook, excellent natural light, secure courtyard access and is well-positioned for resident access to all secure common areas. Maximum price for room: The maximum price that you can be charged for this room is a refundable deposit of $230,000.00 or daily payments of $40.07 or a combination of both. Example of a combination payment for room: For this room a resident could pay, for example, 50% of the price by a refundable deposit of $115,000.00 and 50% of the price by daily payments of $20.03. The bedrooms are all fully air conditioned with individual room controls, carpeted with painted walls, and are well maintained and lit. The inclusions provided in the bedrooms are of excellent quality, in good condition and includes an electric high/low bed and telephone point. The bedrooms are single rooms (approx. 18 sqm) with a private ensuite (approx. 5.8 sqm), enjoy pleasant outlooks, natural light, courtyard access and are well-positioned for resident access to all common areas.  175 Main Road, YANKALILLA, SA, 5203.